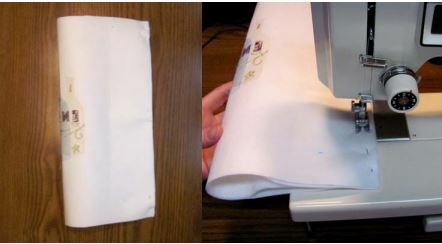 Lay your fabric face down, measure out the following with fabric marker, and then cut them out. Cut each of them out and set aside. Mark the center point of the 14” wide x 14 ¼” high piece of fabric. 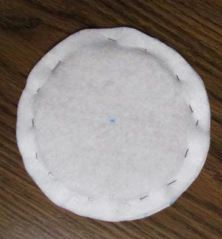 Place the fabric on top of the cutaway backing and hoop it. 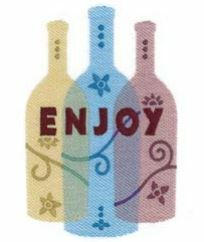 Embroider the wine gift tote design in the center of the fabric. piece is centered between the fabrics. Pin the 2 pieces of fabric together close to the cardboard piece. 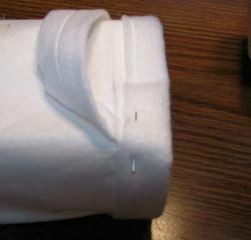 Fold the 3 ¼” x 10” piece of fabric in half with right sides together. 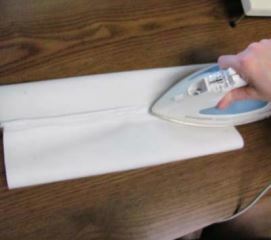 Iron the fabric. Pin the fabric along the 10” side. Sew a 3/8” seam along the 10” side. Using a dowel turn the fabric inside out. Iron the fabric again with the seam facing up in the center. Optional: Sew a straight stitch along each end of the handle. Fold the main part of the tote with the wrong side out and pin along the side. 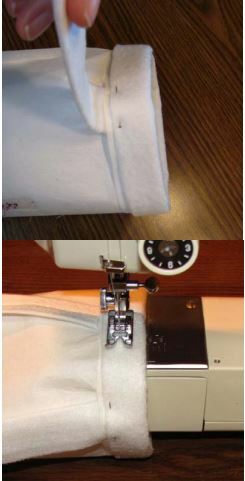 Sew a ¼” seam along the side leaving the top and bottom of the tote open. 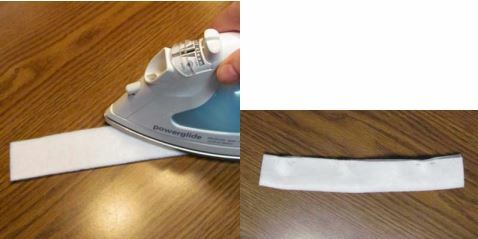 Fold down each side of the seams fabric and iron to lay flat. tote and sew a seam around the inside. Now you will complete the top of the tote and add the handle. The handle will be placed on the sides of the tote. 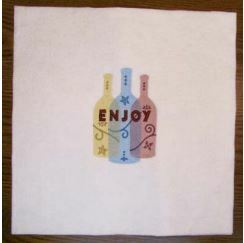 Fold over the top of the tote fabric over ¾”. 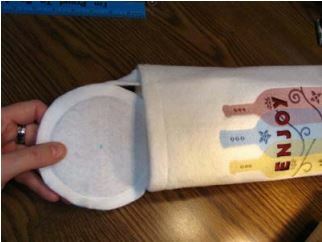 the inserted handle and sew the fold until you reach the other side. Turn the tote inside out. 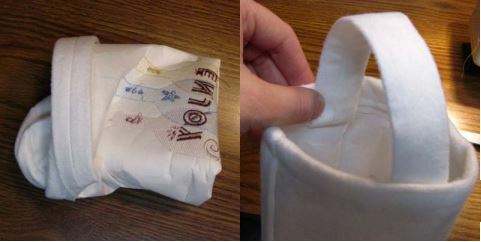 Fold the handle up and pin. 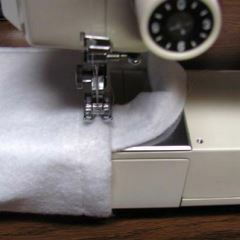 Sew each side of the handle to the sides of the tote to secure it. 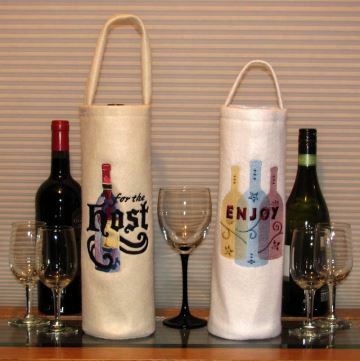 Insert the cardboard fabric piece into the tote for the bottle to rest on. Please leave your comments below and let us know what you thought of this project.